Significantly aiding breast cancer detection. Now at Longstreet Clinic, our 3D Automated Breast Ultrasound System (ABUS) improves cancer detection by 35% over mammography alone in women with dense breasts. 3D ultrasound technology looks at dense breasts differently to find cancer that mammography alone may not detect. Longstreet Clinic’s Breast Center is the only facility in the area offering ABUS. ABUS technology significantly aids in breast cancer detection in women with dense breast tissue. 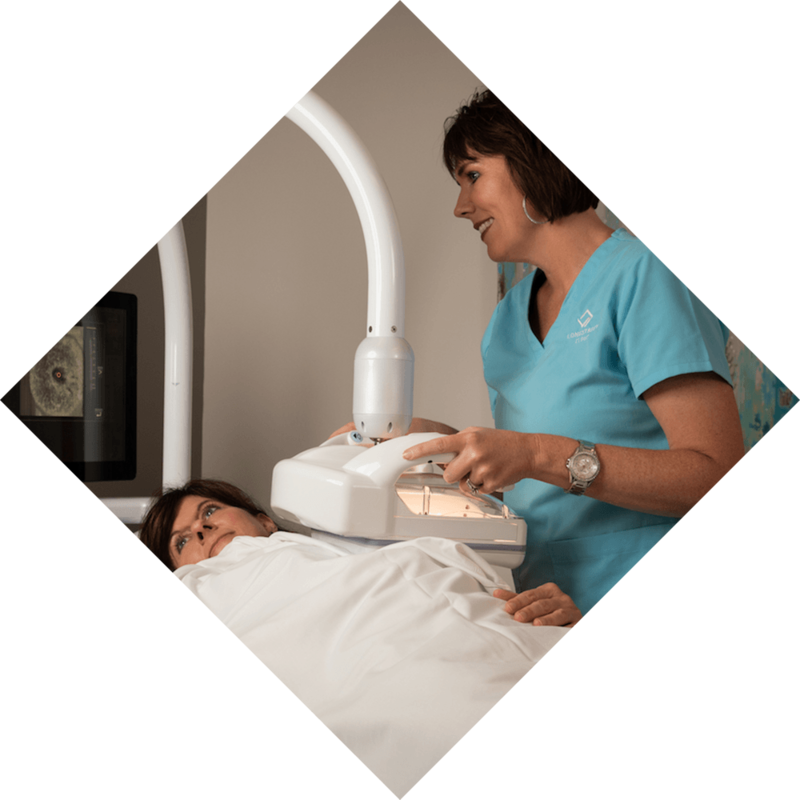 ABUS supplements mammography for these patients (estimated to be 40 percent of all women) by allowing the radiologist to examine hundreds of breast tissue images. Having dense breasts is normal. It just means your breasts have more tissue than fat. Women with dense breasts are up to six times more likely to develop breast cancer. And dense breast tissue can make it challenging to detect cancer with a standard mammogram. What is your breast density? Breast density is determined by one of our board-certified radiologists who reads your mammogram and classifies the density into one of four categories. Every woman should know her breast density, so ask your doctor. The images below depict different levels of breast density: A) almost entirely fatty; B) scattered fibroglandular densities; C) heterogeneously dense; D) extremely dense. When combining ABUS with mammography in women with dense breast tissue, detection of breast cancer is improved by 35 percent than when using mammography alone. ABUS has the potential to reduce false positives and improve diagnostic confidence when characterizing lesions. Hand-held ultrasound exams are typically scheduled in 45-minute increments, ABUS exams can be completed and sent for review in approximately 30 minutes. ABUS may be better for pregnant or nursing women since there is no radiation to worry about. ABUS offers benefits for younger women with extremely dense breasts and any women with a diagnosis for breast pain that mammography doesn’t benefit. To schedule an appointment, please call 770-533-4700.